More than one in five of all children and more than one in four Latino children in the USmay not know where their next meal is coming from. ConAgra Foods and P&G are building a community of people to make a difference and help donate up to 7 million meals in 2014 through the Child Hunger Ends Here program. Look for the red pushpin and locate the code found on specially marked ConAgra Foods and P&G products. For each 8-digit code entered at www.ChildHungerEndsHere.com or Facebook.com/ChildHungerEndsHere from March through August 2014, ConAgra Foods or P&G, respectively, will donate the monetary equivalent of one meal to Feeding America, the leading domestic hunger-relief organization. 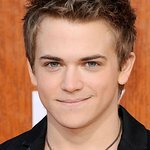 The 2014 Child Hunger Ends Here campaign is supported by Hunter Hayes, who will lend his voice to spread awareness for child hunger while asking consumers to take action by entering a code found on participating ConAgra Foods and P&G products. In his new hit single, “Invisible,” Hayes brings visibility to the nearly 16 million children who are living in food insecure households in the United States. For every download of “Invisible” on iTunes, Child Hunger Ends Here will donate the monetary equivalent of one meal to Feeding America, up to 1 million meals. As a presenting sponsor of Hayes’ “We’re Not Invisible” tour, kicking off March 20, Child Hunger Ends Here will be activating efforts across the country encouraging consumers to take action in the fight against child hunger. The campaign will also be supported with retail promotions, national TV integrations and a social media campaign. Consumers can easily participate by going to their local grocery stores and looking for the red pushpin and code on specially marked packages of 42 select ConAgra Foods and P&G brands, including Banquet, Chef Boyardee, Healthy Choice, Hunt’s, Pampers, Bounty, Tide and Pantene, then visiting www.ChildHungerEndsHere.com or Facebook.com/ChildHungerEndsHere to enter the eight-digit code found on the package. For each code entered, the equivalent of one meal will be donated to Feeding America. Codes can be entered through June 2014 for P&G brands and August 2014 for ConAgra Foods brands. While entering codes, consumers will be able to submit their zip codes to support the local Feeding America food bank serving their community. Up to ten local food banks with the highest number of zip codes entered within their service area will receive the monetary equivalent of a 100,000-meal donation ($11,111). By partnering with P&G, participating Child Hunger Ends Here brands are doubled, making it easier for consumers to join the fight against child hunger. In addition to partnering with celebrity talent, ConAgra Foods enlists its own talent for the company’s Month of Service in April. Employees at locations nationwide will volunteer at local Feeding America food banks, pack boxes of food and serve meals. The company hopes to exceed the more than 7,000 hours employees volunteered during last year’s Week of Service. Since 1993, through their partnerships with Feeding America, ConAgra Foods and ConAgra Foods Foundation have provided more than 325 million pounds of food and invested more than $37 million in capacity building, child hunger programs and groundbreaking research. The Foundation, a separate 501c3 nonprofit entity primarily funded by the company, has a $10 million, 5-year commitment to Feeding America, the largest donation ever made to Feeding America specifically to fight child hunger.